Consistent tunings over time creates a wonderfully stable and great sounding piano! 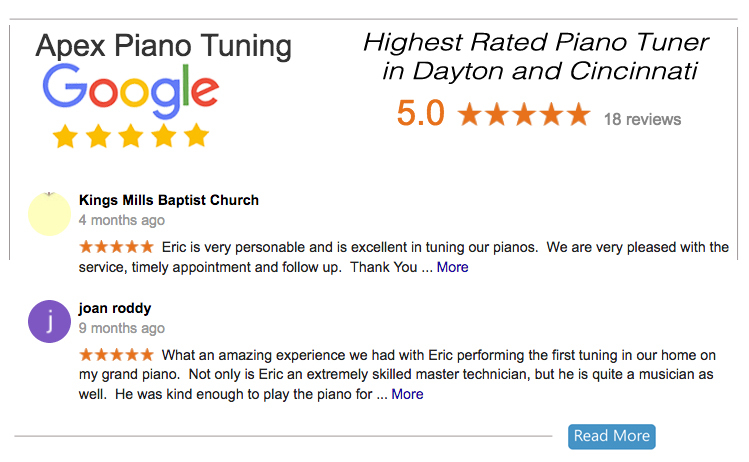 Get a $75 savings every time you tune your piano within 6 months from your last tuning. 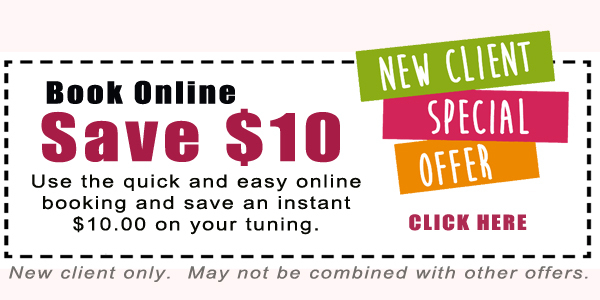 (Not valid with other discounts and coupons, must be within 6 months from your last tuning with Apex, and does not include pitch raise/lower or additional repairs if needed.) Book Online Today!